The base for the mews was carefully designed to meet the location requirements, placing it far enough off of the lot line (10 ft.) to comply with local township ordinances. The paver base was set and leveled with 1 ton of slag sand. 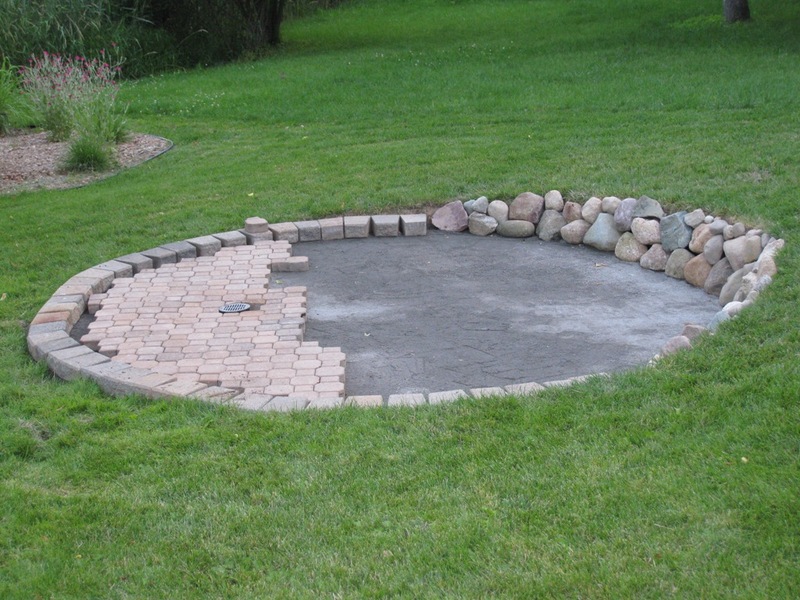 Once the desired flatness was achieved, I was able to put up a decorative rock wall on the high side of the circle. The rocks will serve as support to hold the dirt and clay in place. 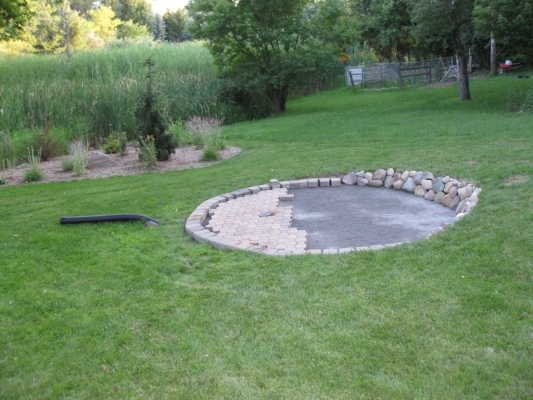 I also dug and placed a drain inside the circle to drain the paver base and inside the mews for cleaning time. 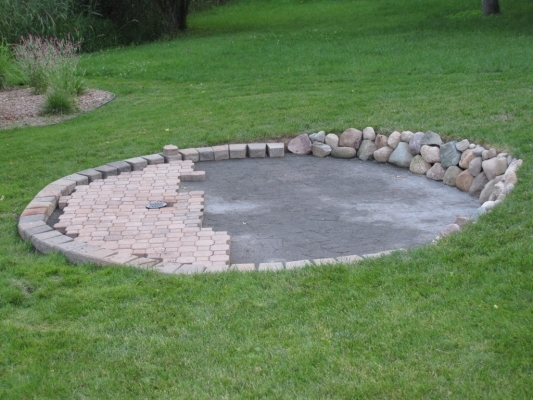 This drain, combined with the brick pavers should suffice for the drainage requirement for raptor housing. The bricks are fairly heavy, and will also serve as a predator barrier for any animal that should want to *attempt* to burrow under the mews and get in. An additional picture showing the brick pavers about 1/3 of the way complete. Once the main bricks are all in place, we’ll fill in the remaining spaces and cracks with some fill sand, andthen set the outer border of bricks into the slag a little deeper, in order to make them flush with the inner pavers. Once everything is all set, I’ll begin phase III, constructing the walls, windows, and doors along with a temporary roof. Many of the details will be completed later, but I wanted to get the main construction completed for inspection.